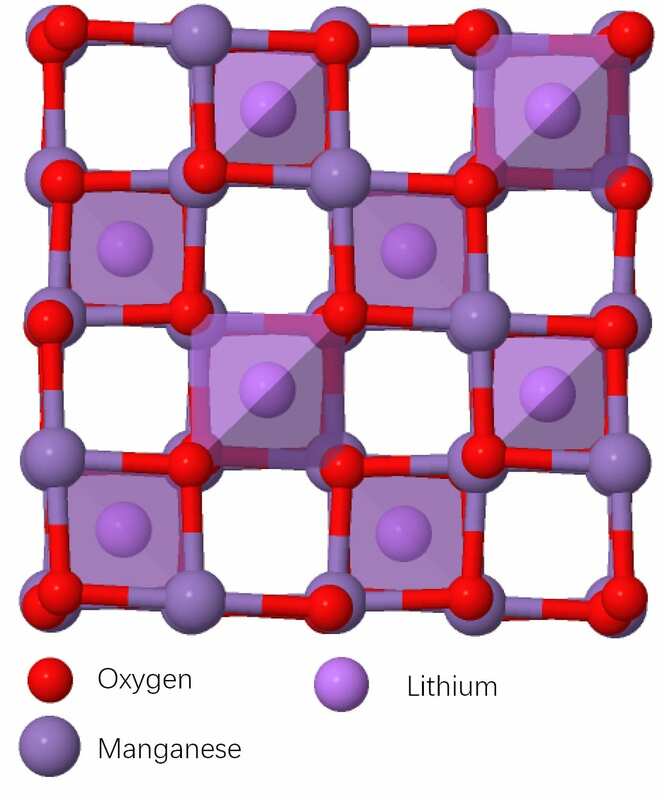 Below are examples of cathode materials. Click on each image to view more details. 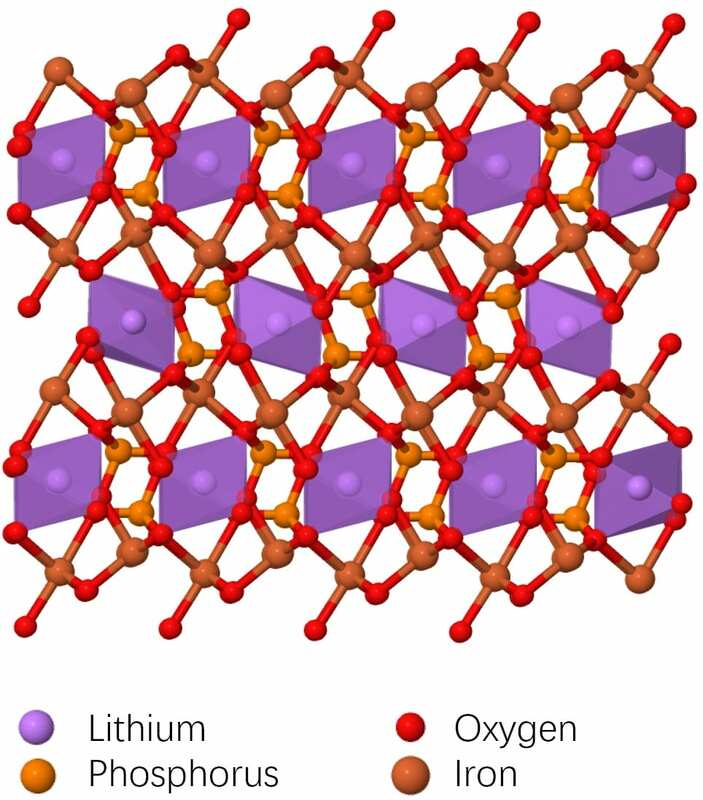 Lithium ions diffuse in 1 dimensional channels consist of chains of octahedral sites. It is a relatively economic cathode material, with iron being one of most abundant element on the earth. 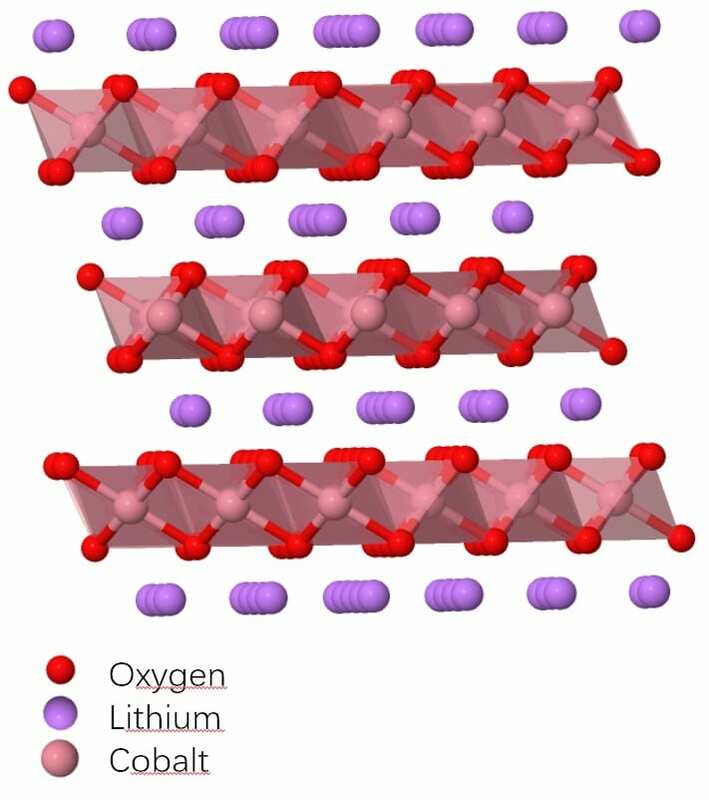 Lithium ions diffuse in 2 dimensional planes separated by CoO2 layers. It is the most widely used cathode material in consumer electronics since SONY first introduced it in 1991. Lithium ions diffuse in 3 dimensions in spinel LiMn2O4 by hopping between tetrahedral sites via intermediate octahedral sites.